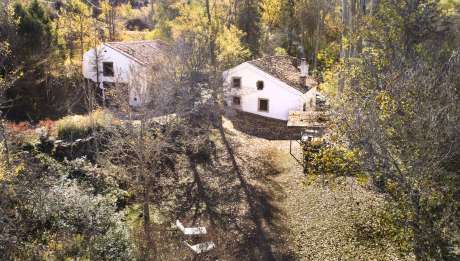 Rusticae show you the bests Rural Retreats & Rural Getaways in Spain for your Rural Travel. If you want to find a Rural Home, Rural Hotel, Rural Flat or apartment, check our bests Rural Retreats and fond your destiny. You can Book Online at every Rusticae Hotels. Sometimes we want going out with friends or family, that's why Rusticae has selected full rental houses with the same services as we used to know. 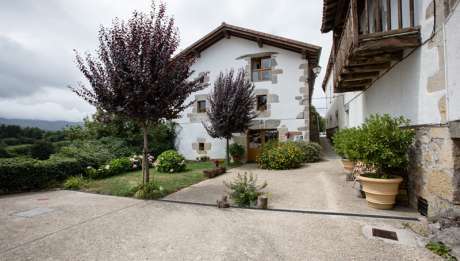 Charming houses at the countryside that let us going out with the people you love the most, in a accommodation where you can be all together. Hemos estado dos noches en Ulle Gorri y nos ha encantado la experiencia. Es un caserío amplio y acogedor al que se la hecho una reforma preciosa, que manteniendo el estilo rural, tiene todas las comodidades. La ubicación de Ulle Gorri es ideal ya que está a pocos kilómetros de Vitoria, Bilbao y la Rioja alavesa, lo que permite hacer excursiones y volver a descansar, rodeado por la bella naturaleza vasca. Un diez! Un acierto, totalmente recomendable. El entorno maravilloso. Si viajas con personas mayores la casa está acondicionada. Gracias! Beautiful house. Tranquil, clean, had everything and more than what we needed. One thing I would add is a kettle otherwise brilliant. To be able to see it we need your Rusticae booking reference number.